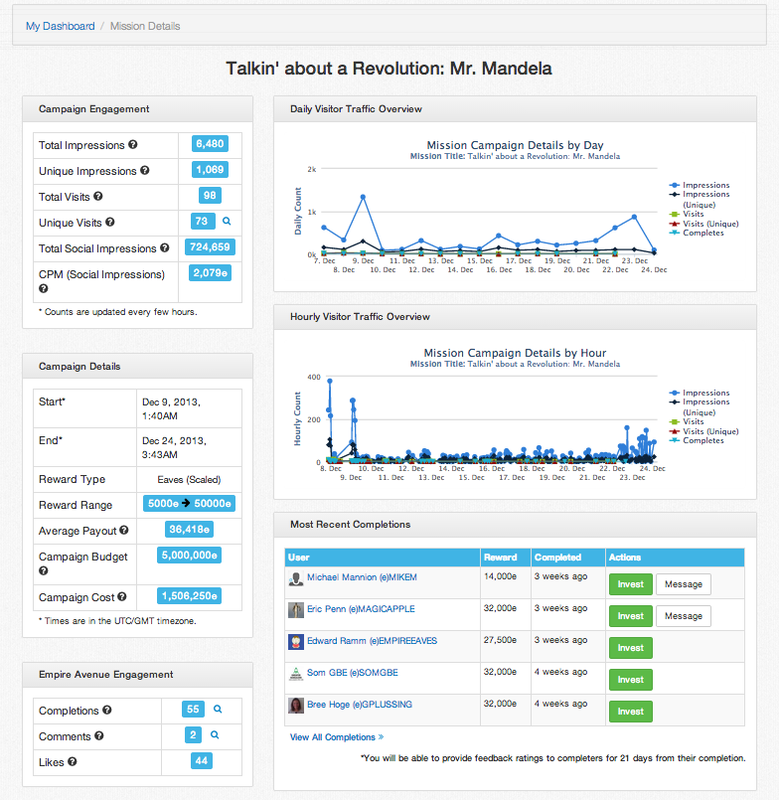 We've unveiled the first step in a series of updates planned for Mission Analytics. If you run Missions, you will find a few changes and additions to the Missions Dashboard (click the 'My Dashboard') tab in the Missions section. For those Gold and Platinum accounts who had issues bringing up this page, we've sped it up. You will note that each Mission has a "Details" button and the number of "Completed" is now to the very right. Clicking through on Details you will find a very different page with some new data points. Some of the data will only be shown to those who have Premium Accounts and some of the data will only be shown to those with Gold, or higher tiered accounts. A couple of new numbers that we want to expand upon in the coming weeks will be the Total Social Impressions in the possibility of how many impressions that your Mission might reach. 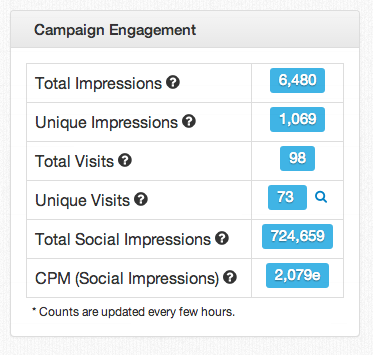 In addition to this is a more traditional type CPM (Cost Per 1000) based on those Social Impressions. Please note that while your Mission is running these numbers are only updated every few hours. You will also be able to view the Daily and Hourly Traffic to your Mission. Please note that Impressions and Visits data on Daily Traffic is only available to Premium subscribers. Hourly Traffic data is only available to Gold or higher tiered accounts. You can zoom into the graphs and see more details. From this main Mission Details page you can see your most recent Completions, click through to Empire Avenue engagement and see other information about the Mission. We'll be expanding on all these data points over time and providing more data to all accounts and certainly more drill downs for those in the premium tiers so that they can make decisions on timing and targeting Mission campaigns. Let us know what you think and what more you would like to see as we go forward. Let us know what you think here in the Empire Avenue General Discussion!